Verdict: 4 / 5Justice League: No Justice delivered on the promise that it would mix things up for these classic heroes. This was a stellar series with a fitting finale. The culmination of this 4-part miniseries left the DC Universe in a very different place to where it had started off. With three new Justice League teams ready to start in this post-Dark Night Metal and No Justice world, as well as hundreds of new planets released into the galaxy, Justice League: No Justice delivered on the promise that it would mix things up for these classic heroes. The three teams are as a direct consequence of the teams set up by Brainiac throughout the narrative. These teams seek to serve different purposes and represent different corners of the DC universe. How they act and work together remains to be seen, but it is a nice continuity point from this interesting series. The stakes continued to feel real throughout Justice League: No Justice #4 and, once again, for me, Martian Manhunter was the heart of the piece. 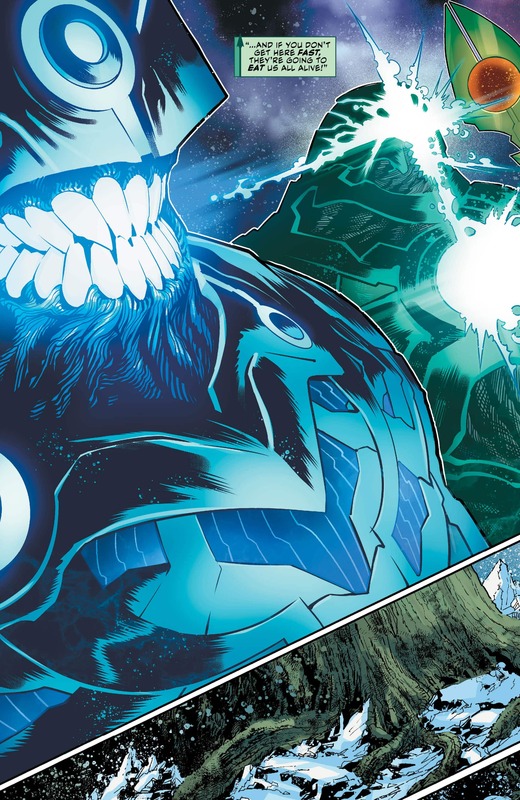 Whilst Starro’s sacrifice was the only death of the series, the fate of the Earth really did seem at risk and the destruction of Kolu showcased that the writers were not messing around here. The character interactions continued to intrigue and, in some ways, it was a shame this did not have an extra issue to further explore the varying dynamics. Alas, we will get much more of that in the upcoming Justice League teams. What continued to confuse was how the trees worked. Although it was always seen as a real threat, I never quite understood how the magic or science of these trees worked. The victory felt earned although a little rushed. An intelligent idea that had already been teased throughout, to use Brainiac’s information, as intended and ultimately win through this means, was a fun way to end the series. We never quite saw the teams face on with the monsters that seek to destroy them, but this wasn’t that sort of series. Whether people will believe this was better than the Metals arc is up for debate. However, the series capped off in a nice way. Perhaps the pacing could be improved slightly but we are going to continue to get more of a resolution as we go. 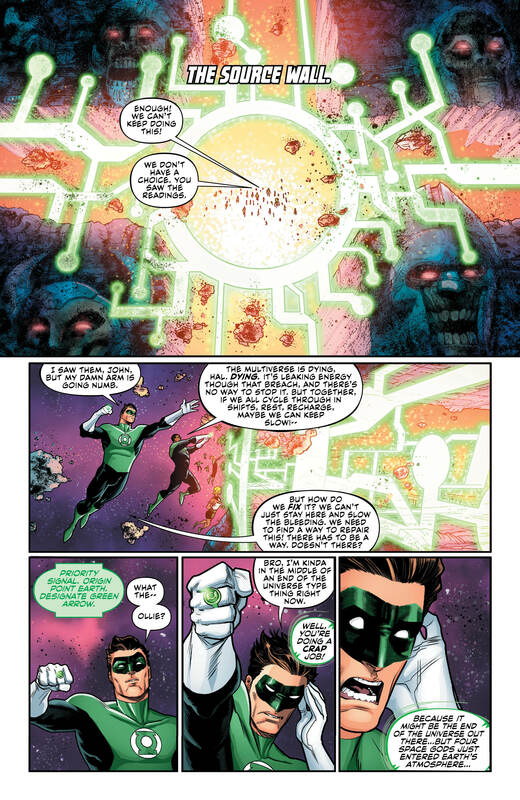 A number of characters were perhaps misused throughout, including the Green Lantern Corps and Brainiac 2.0, who I never quite understood why he was there at all. However, this was made up for with some great character use, including Beast Boy and the dynamic between Amanda Waller and the Green Arrow. Some cameos, such as Supergirl to showcase a wider universe, was a nice touch and it’ll be interesting to see if all the new planets will be explored further or provide new threats. Overall, this was a stellar series with a fitting finale that would feel better paced perhaps with an extra issue. However, if one was to now read the whole Justice League: No Justice series as a graphic novel, it would feel like a blockbuster epic that doesn’t fail to deliver.